I'm continuing to play with blurring images due to my moving the camera in some way. This is the neon sign over the Potstickers Restaurant we ate dinner at last night. 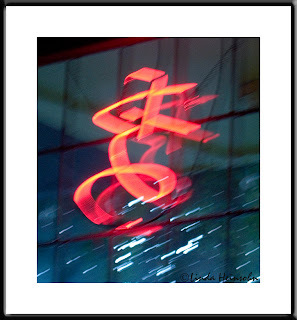 I moved the camera very slightly but the effect was to turn a very ordinary neon sign into this wide, swooping glow of color. cool!